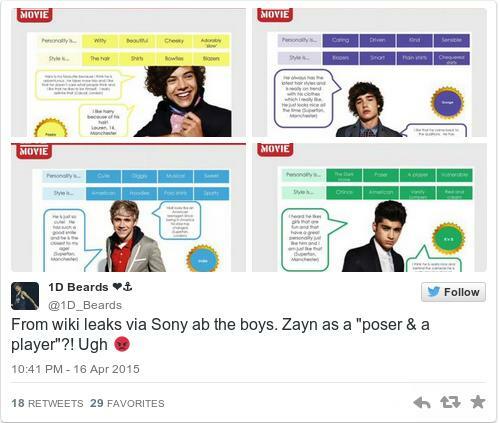 LAST NIGHT, WIKILEAKS unleashed thousands of leaked Sony e-mails onto the internet. The website has republished all of the documents accessed by hackers during the now infamous cyber attack on the film studio. Among the e-mails published? 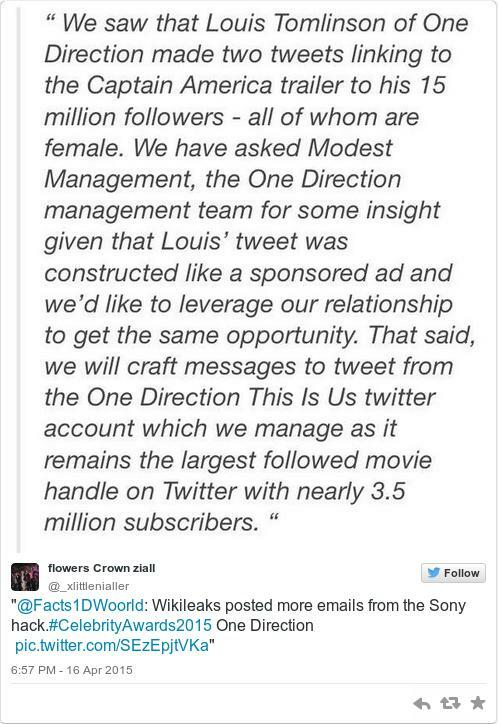 Tons of documents and e-mails related to One Direction. There is obviously an awful lot to parse through, but fans have unearthed some rather interesting information from the leak. 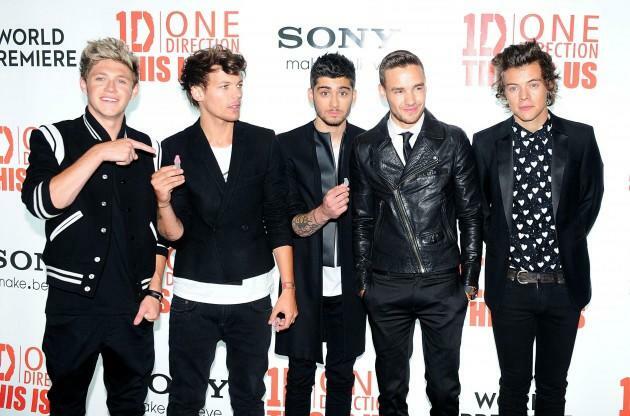 Dr. Luke states that One Direction management are reticent to allow him to do so and begs Lynton to see what he can do. A presentation from Sony describes Harry Styles as “adorably slow” and reveals that they tried to position Zayn as a “poser” and a “player”. But to see how infantilizing and trivializing the boys’ descriptors were—“giggly?” “cute?” “slow?”—and that these words are probably still used not to describe, but rather, to control the boys who are now grown men—I shiver in horror and disgust.